The “really random” posts are just that. I believe what follows, is. 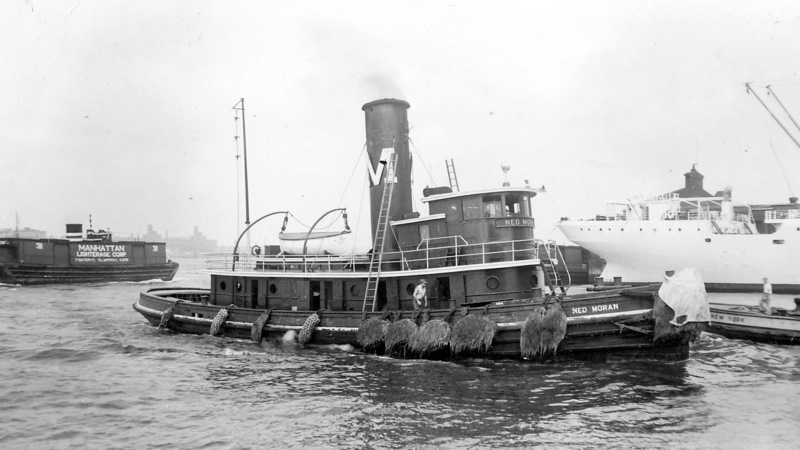 Thanks to Jeff Schurr and Dave Boone, behold Bloxom in her better days, in this case during her life as a Pennsylvania RailRoad tug. Bloxom has been on this blog here and here and other places. Anyone else know Bloxom PRR fotos? 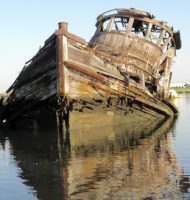 Also thanks to Jeff and Dave, Ned Moran below in work mode compared with a foto of the vessel (scroll down to the last one) I took a few months back. I have to say there’s so little left of the vessel now that it’s hard to corroborate their being the same vessel. 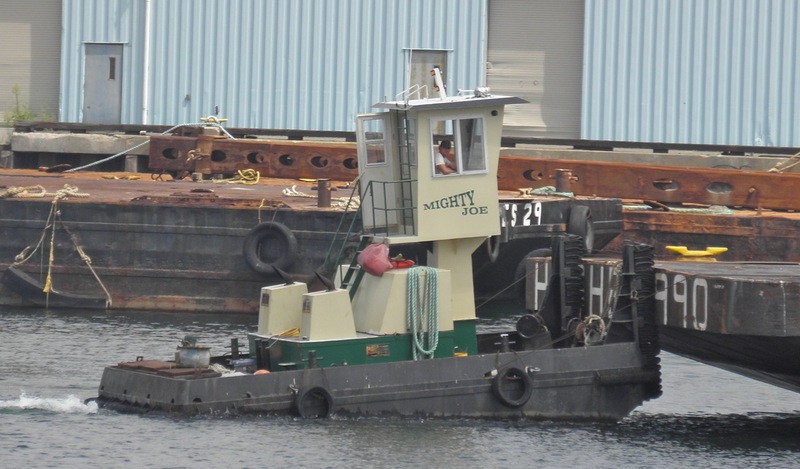 Mighty Joe (ex-Maria) in the Hughes Marine portion of Erie Basin yesterday. 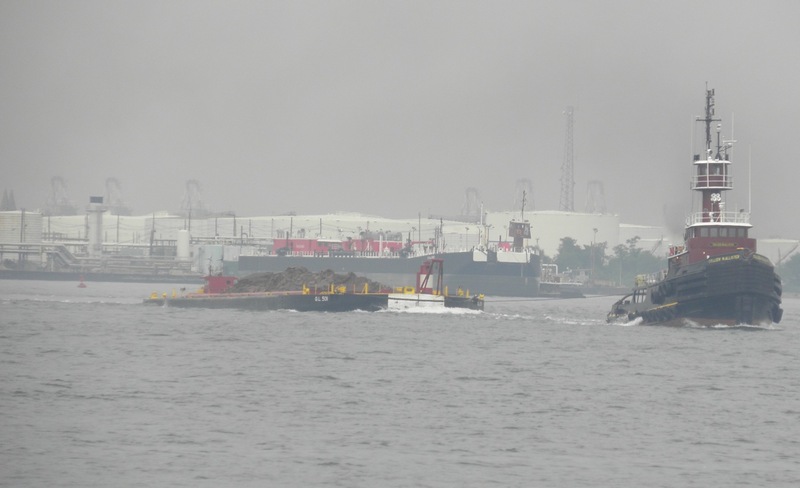 This is my first ever sighting of Marquette’s Layla Renee, defying a current trend as a Gulf boat working up here. When I last posted a foto of a Marquette boat, I also included one of Colleen McAllister. 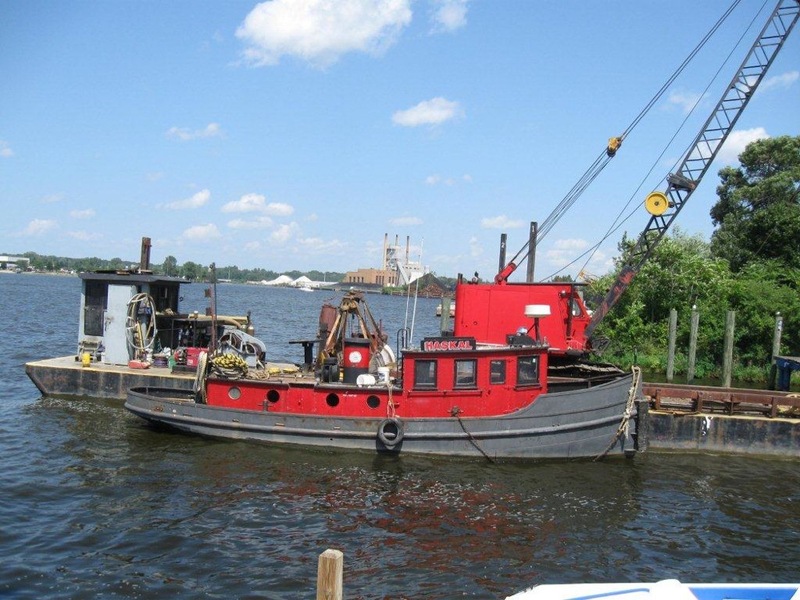 Yesterday she looked powerful pulling a deepladen dredge scow. Haskal, about which I can find no info. The design of Haskal looks older than that of James Harris. Anyone help out? Again, thanks to Cheryl, Jeff, and Dave for contributing fotos. 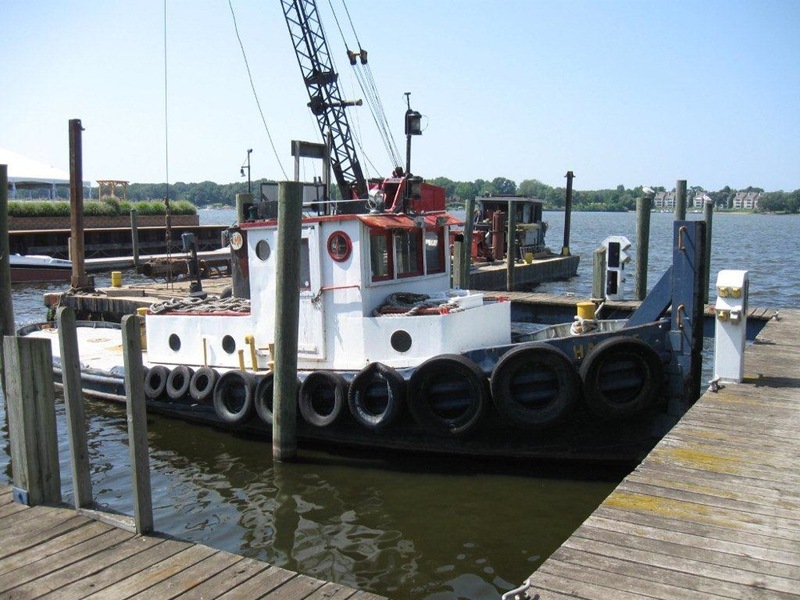 Unrelated: I’ve added a new link to my “resources” a list of all (maybe) US-flag operators of tug and tow boats. damn, Bloxom was beautiful!! wow wow. 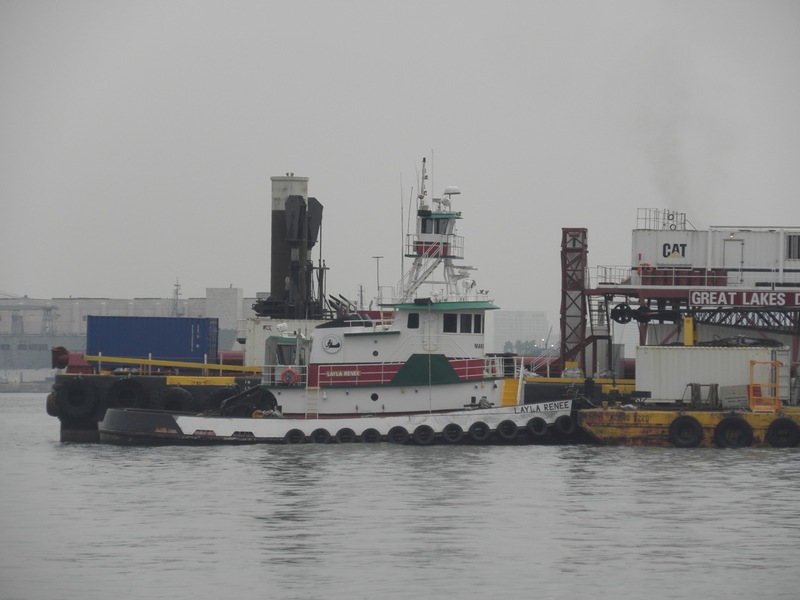 Haskal is officially registered as Haskell, and I believe it was built in Duluth, MN. isaac– thanks much. i see now that it was built in 1936!